Johns Creek is a relative startup itself, incorporated in 2006 with a population of fewer than 100,000 people and a mission to "be the exception." The open data movement in Johns Creek started in 2015 when it became the first Georgia city to sign up with Waze, a community-based traffic and navigation app that's popular in big cities like Los Angeles; Boston; and Washington, DC. Johns Creek's senior GIS manager Nick O'Day says that the city has added the names and locations of local businesses to Waze. Anyone driving around the city can, for example, find the best route home and a place to drop off dry cleaning or pick up pizza along the way. 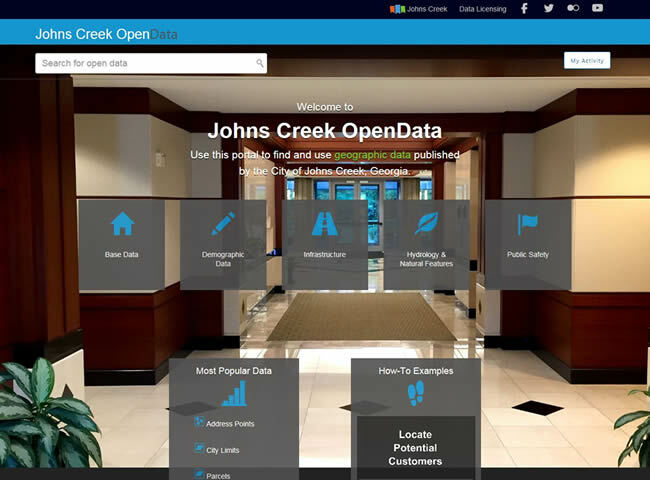 O'Day also worked with Esri to create an open data portal called Johns Creek OpenData. He built the site using ArcGIS Open Data, a feature of ArcGIS Online, the cloud-based mapping platform from Esri. The Johns Creek OpenData Portal contains a wide variety of geographic data. "Our open data site clearly supports government transparency, but the bigger story is that it's a place to find high-quality, definitive data you can trust," O'Day said. "If you're an entrepreneur, you can use that free data to build a neat app [or] a new service or decide where to put your business." Everything on the open data site is available courtesy of Johns Creek government and would otherwise cost business owners a lot of money. It's not hard to convince people to use open data. Most people won't shy away from information that's trustworthy, helpful, and free. The hard part, according to O'Day, is letting people know the data is there. 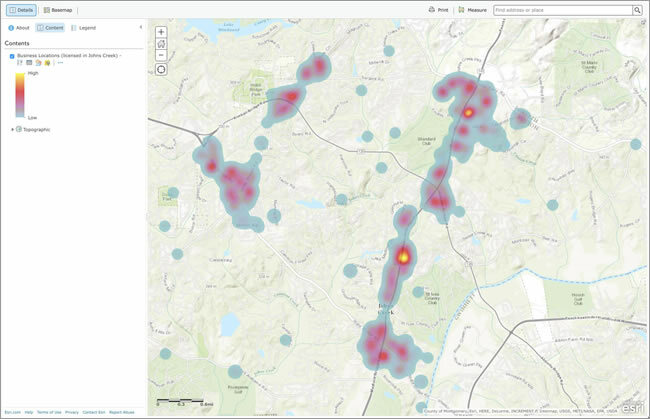 In veritable startup fashion, Johns Creek keeps working to make open data available and then make sure people know where and how to find and use it. The city is also trying to ensure that it offers data that can truly benefit businesses by partnering with Johns Creek Advantage, the city's economic development arm. "Having access to free, trustworthy, and useful information substantially lowers one of the risks startups and small businesses face," said Courtney Bernardi, CEO of Johns Creek Advantage. "The Johns Creek OpenData site makes finding and using information to drive better business decisions as easy as shopping for groceries. 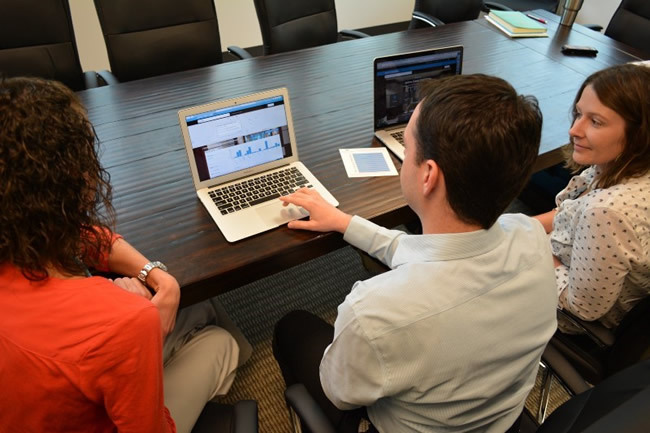 You browse, get the data you need, and then start slicing the data to suit your needs." "When you build an open data portal with Esri, it's like a wizard—you just click through and make live connections to the data you already have," O'Day said. "The ArcGIS platform can be connected to data living on-premises through your own ArcGIS for Server [instance], in the cloud, or to data hosted in ArcGIS Online." "Other solutions are cost prohibitive in efforts to provide publicly accessible data that is already managed," said Andrew Stauffer, Esri product manager for ArcGIS Open Data. "We are dedicated to making it possible for governments of all sizes to participate in sharing open data."